Nelson Mandela once said “Education is the most powerful weapon which you can use to change the world”. Education is an important part of life and a key requirement to getting a good job and leading an independent life. This is a fact whether you are in a first world country or third world country. Education provides knowledge and skill, it also promotes and encourages confidence. Attending school also provides the opportunity to develop social skills and build relationships with people who share your goals and visions. Sometimes, these relationships even have lifelong benefits. Attending school from a young age and graduating high school is not a second thought to most who live in an established country but in Ethiopia, most children don’t even make it to the sixth grade, let alone to high school graduation. 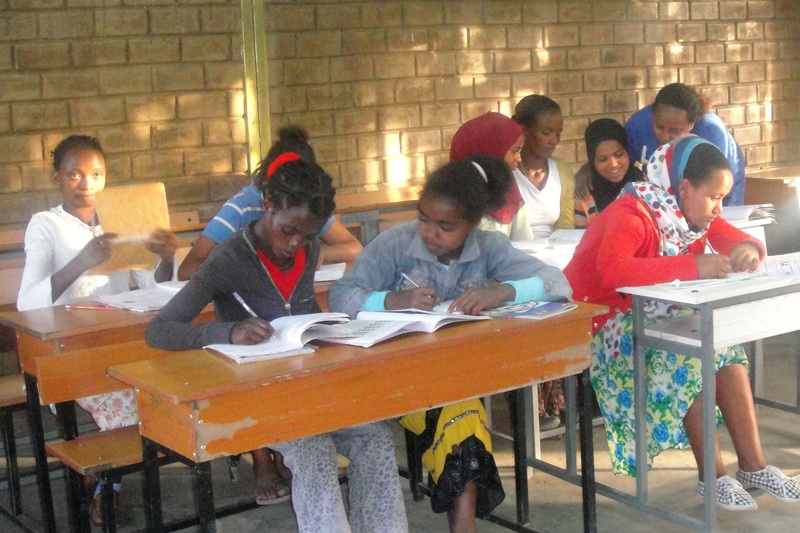 The adult literacy rate in Ethiopia is just under 40% and only 15% of children move on to school for their secondary education. Can you imagine telling your child they cannot attend school because they have to stay home and watch the other children or go to work to help feed the family? This used to be the reality for many families back in the 1800’s and is still the reality of many children in Ethiopia. They are missing out on a childhood, an education, and a stable future. Now, more than ever, as the world advances, education can mean the difference between life and death. Fortuna, the BCI Academy Vice Principal, saw and understood the gravity of this need and decided to take action by opening up the BCI Academy to night school for the students and adults who were unable to attend during the day. Fortuna offers a variety of learning opportunities for women of all ages and education levels. Currently there are 23 students, ranging in age from 12-33, coming from all walks of life. Fortuna offers each student personalized attention and help when needed and is committed to ensuring each student’s success. We are thankful for Fortuna. Her tenderness in seeing a need and her tenacity in taking action to meet that need has been a huge help those in the community. She is a blessing to BCI Academy and we look forward to seeing more lives change as she continues to share her gift and passion of teaching. Fatuma Teke is a 12 year old student attending night school because her days are spent earning her keep by tending to her uncle’s three children, keeping the house clean, and preparing meals for the family. What an incredible responsibility for such a young child and what dedication it shows that Fatuma choses to spend her free time educating herself. 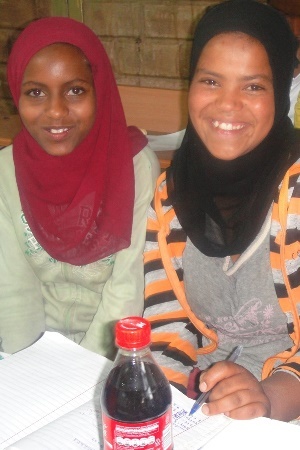 She really enjoys learning and has hopes of becoming a doctor one day and providing for her family. 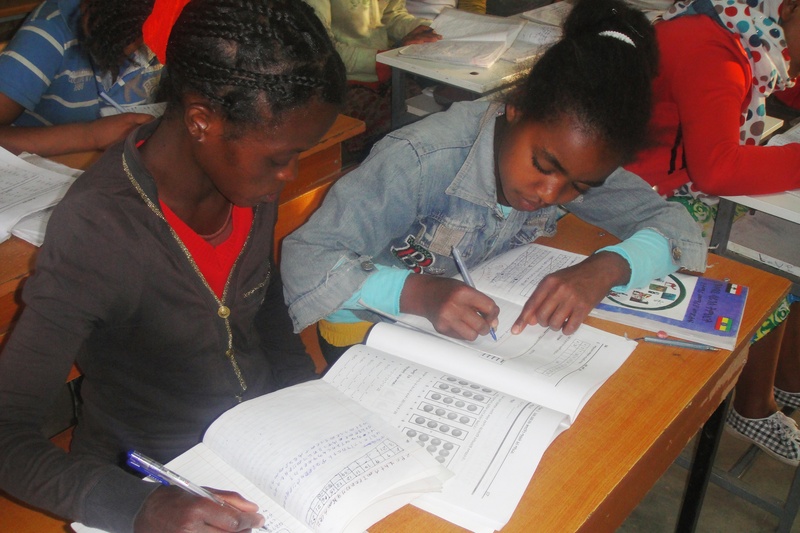 Senait Belachew is a 23 year old student who is learning at a first grade level. She was born on the countryside where her family still lives. No one in her family has ever attended school but Senait sees the importance of getting an education to better her and her family’s lives. While she has had the opportunity to attend school in the past, her poor self-esteem and learning disabilities have cause her to drop out 4 times. Senait would see her classmates advancing and understanding the topics being taught, while she would end her day in tears, feeling defeated and hopeless. Thanks to the BCI Academy Night Classes, Senait has another opportunity to learn and advance herself and with the help of Fortuna and her customized teaching, Senait will be successful this time! 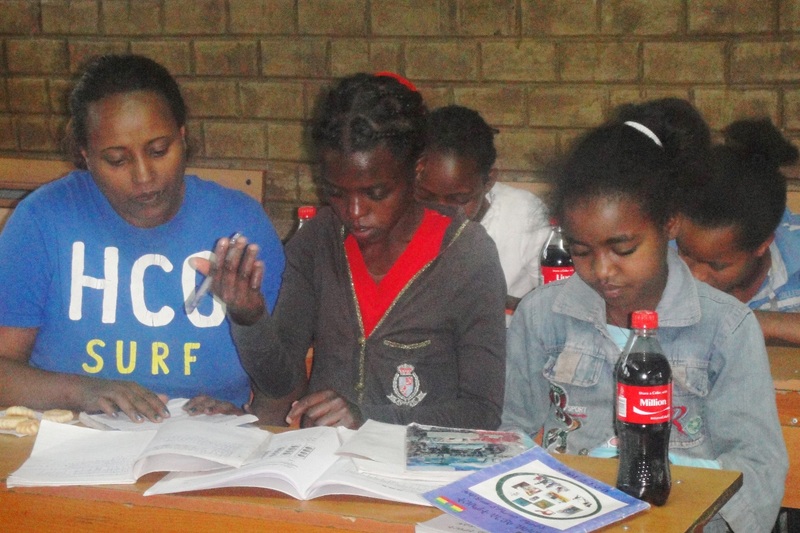 Senait is now progressing through the subjects and has a positive outlook on continuing her education.